Your wedding dress. 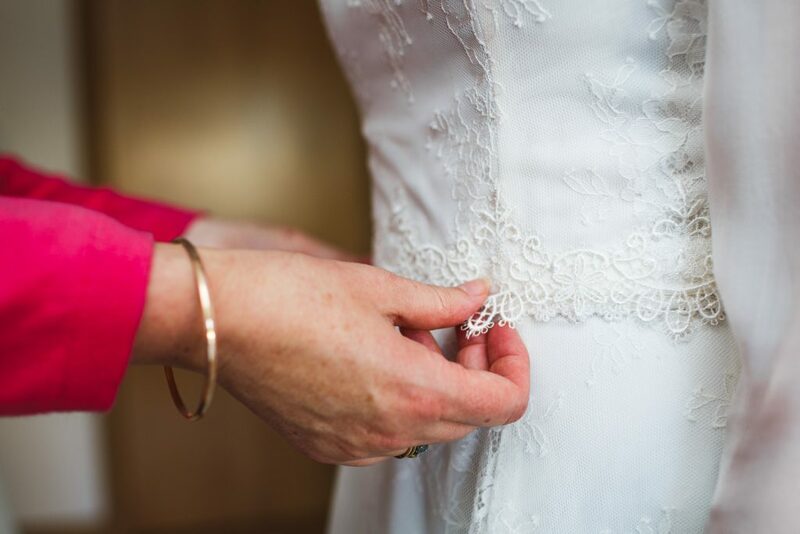 Without doubt one of the most important decisions you have to make when planning your wedding day. 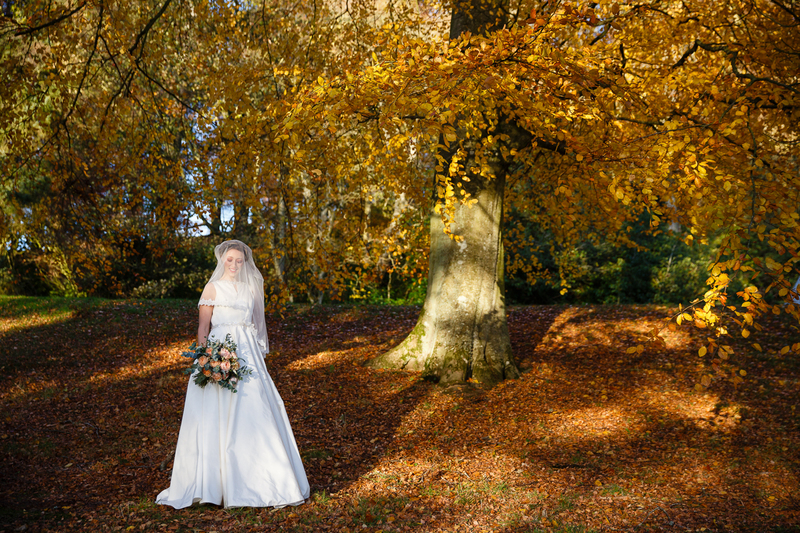 I only know all this as recently I got a call from Pamela of Pamela Fraser Designs who was arranging a photoshoot at the very picturesque Kinnettles Castle in the Angus countryside. 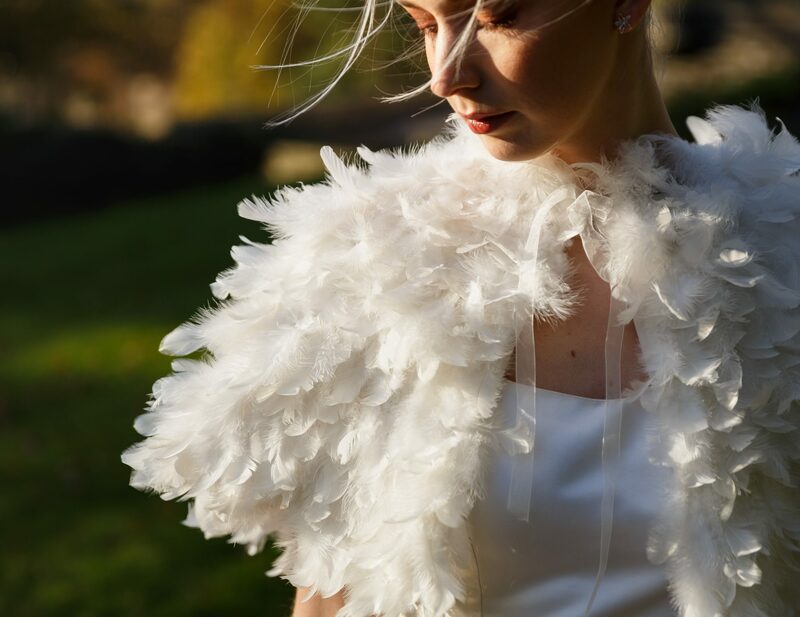 Every once in a while you get to meet someone with real talent and enthusiasm for their job – so much so that I’m going to share with you the process and just how much work goes into making your very own unique wedding dress. 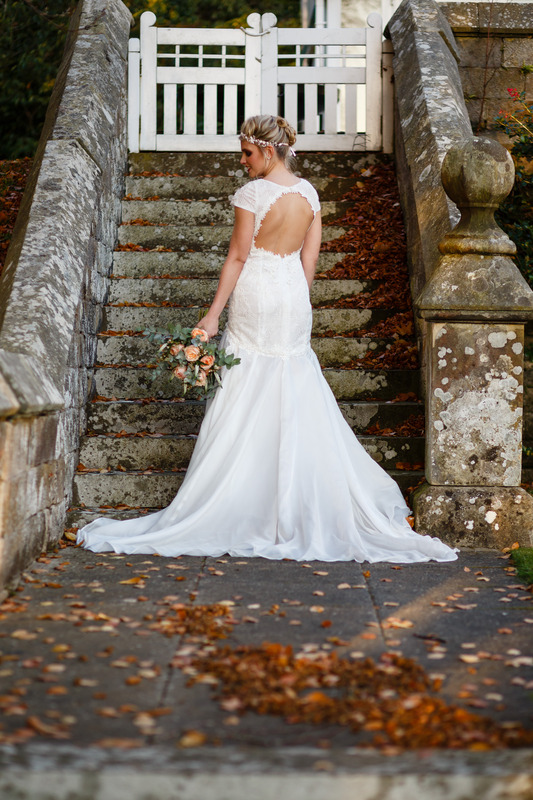 Pamela is a wedding dress designer and works from her home in the quiet little countryside village of Charleston, not far from Glamis Castle. She works alone, designing and making the dresses in her studio. 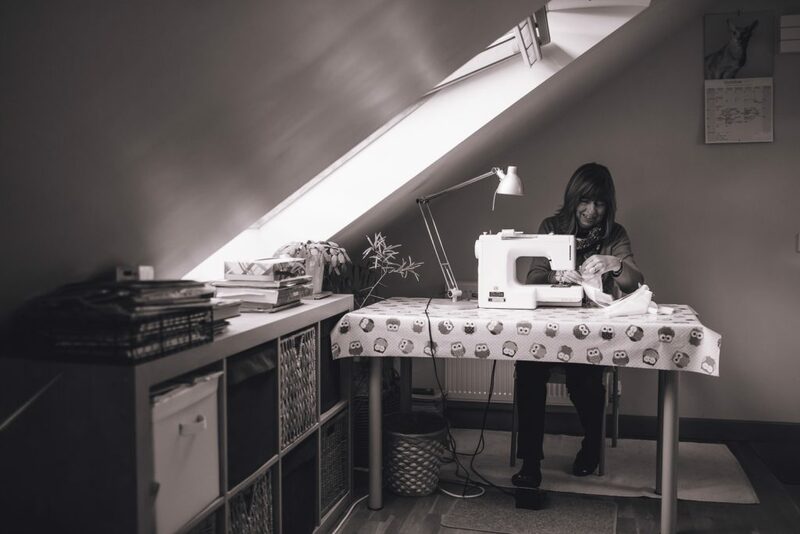 She started her business over 20 years ago after studying at the Scottish College of textiles in Galashiels. 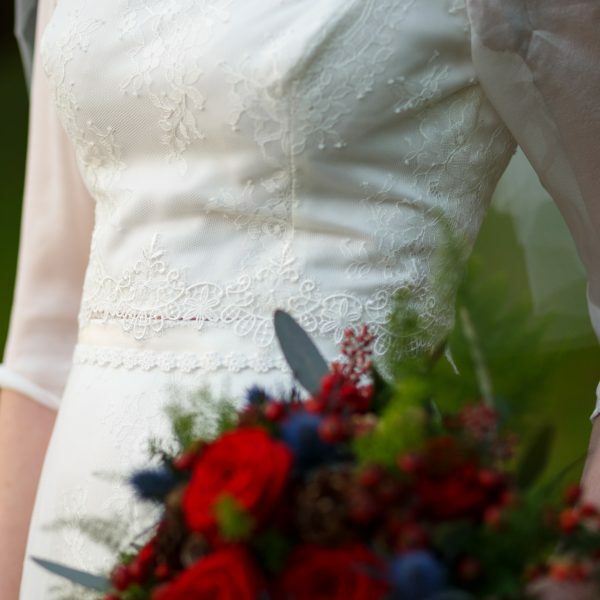 With something as unique as this, you can just imagine how much detail has to be talked about and covered before Pamela can start making your own dress. 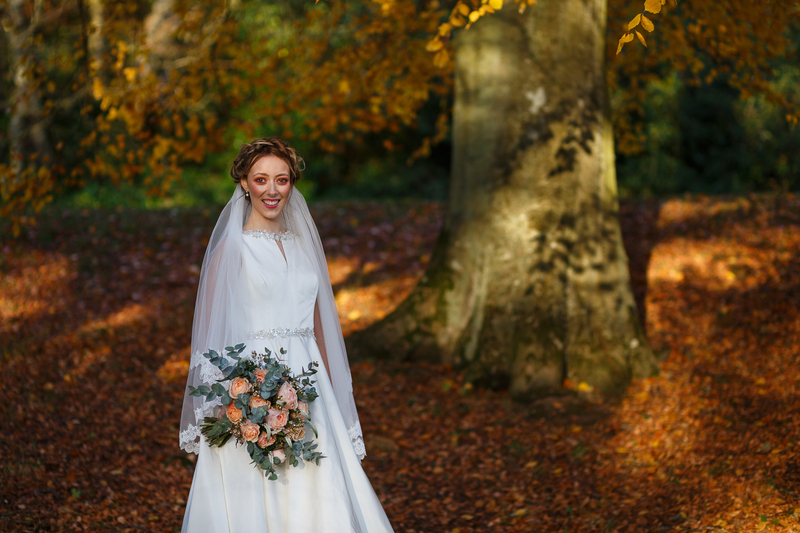 No detail is spared at the initial consultation, with the theme and venue being discussed as-well as your own ideas on what you imagine your dream wedding dress should look and feel like. 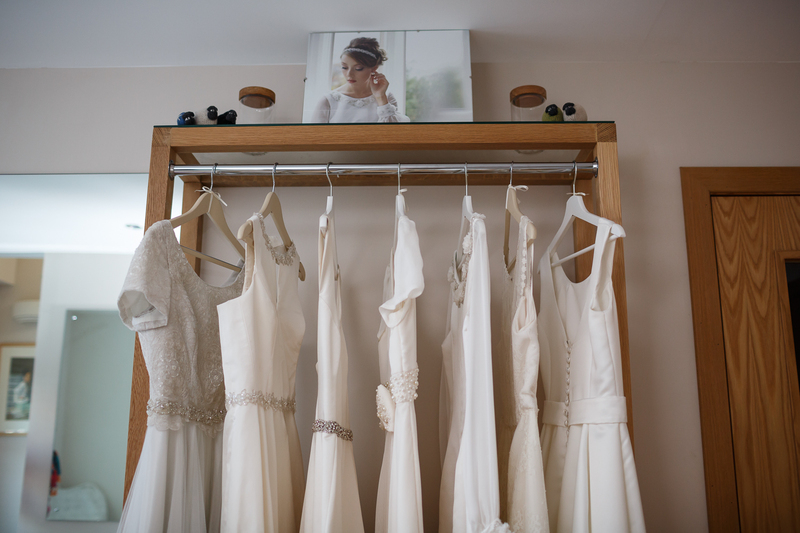 When you first meet Pamela, there are loads of sample dresses from her own collection for you to try and get a good idea from. 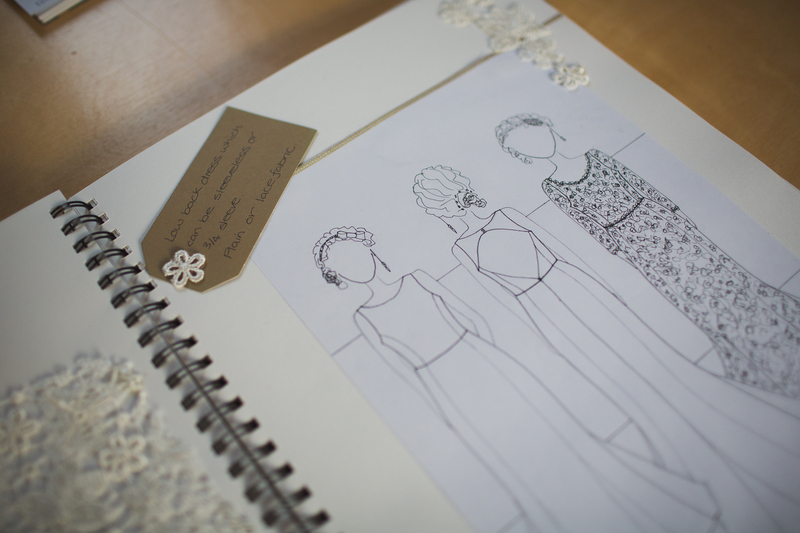 With all of your ideas discussed and you have a good idea on what style and fabric you should have, Pamela sketches these for you to see for the first time. It’s at this stage where you really will have a clear idea on how the dress will look. The next step is where measurements are taken, patterns are added based on the measurements to the “toile”. A toile is a mock-up made in a cotton fabric to perfect the fit design. 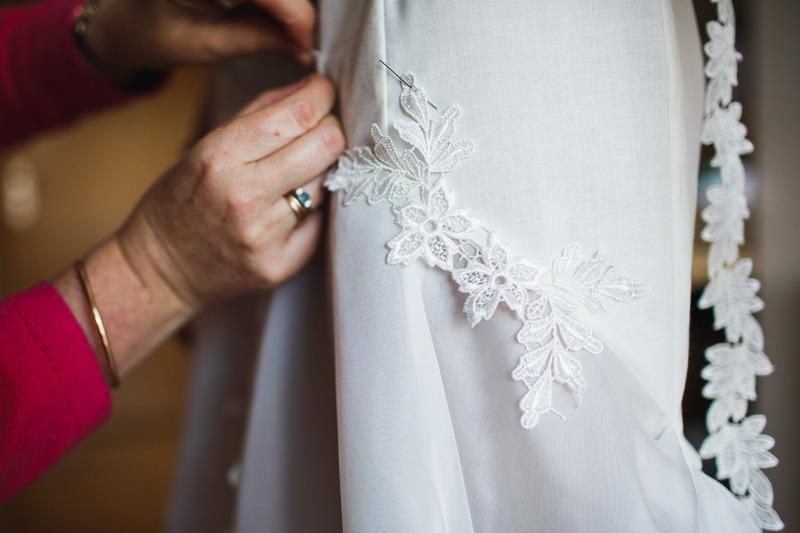 The third consulatation is where you try on the toile and any necessary adjustments are made. 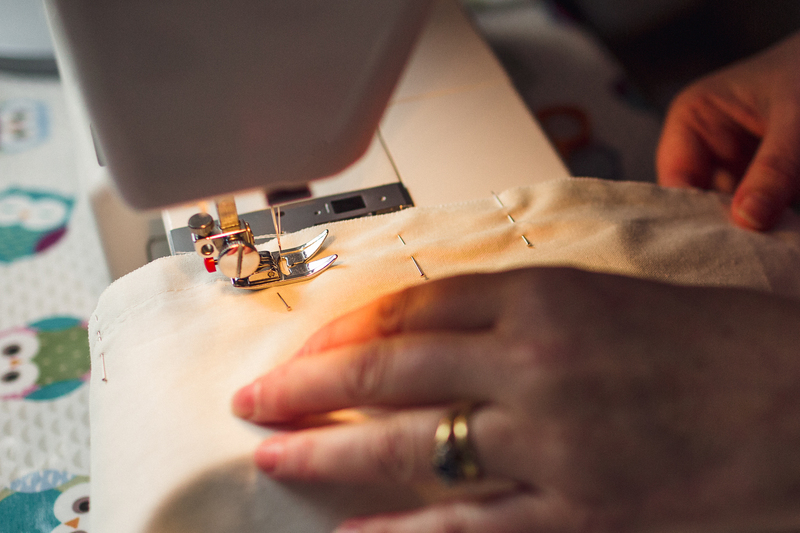 Your dress is then cut out in your chosen fabrics and then Pamela and her sewing machine get to work! 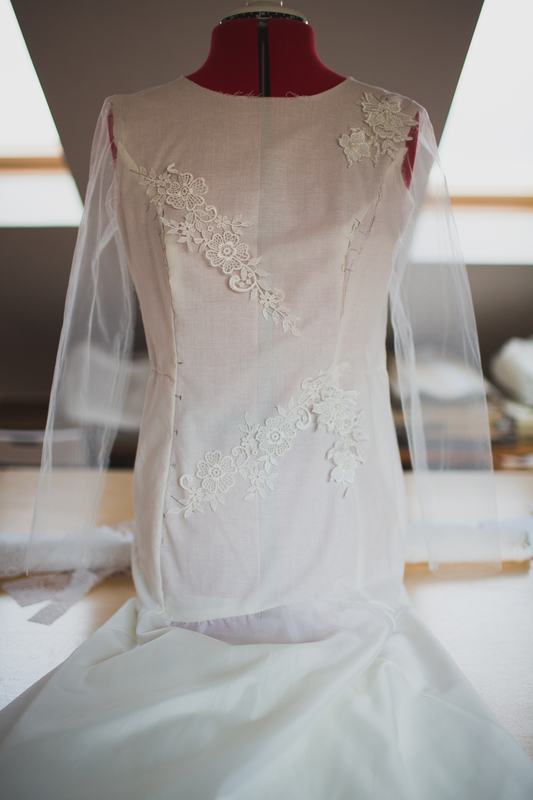 A finished toile – ready to be transformed into your very own fitted wedding dress. 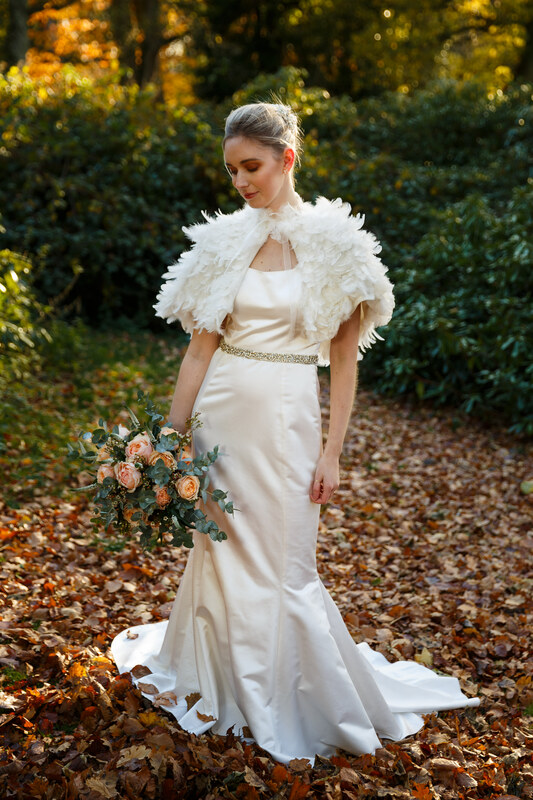 Pamela Fraser Designs, Rosa – This is a two piece dress made with soft ivory silk chiffon and lace. 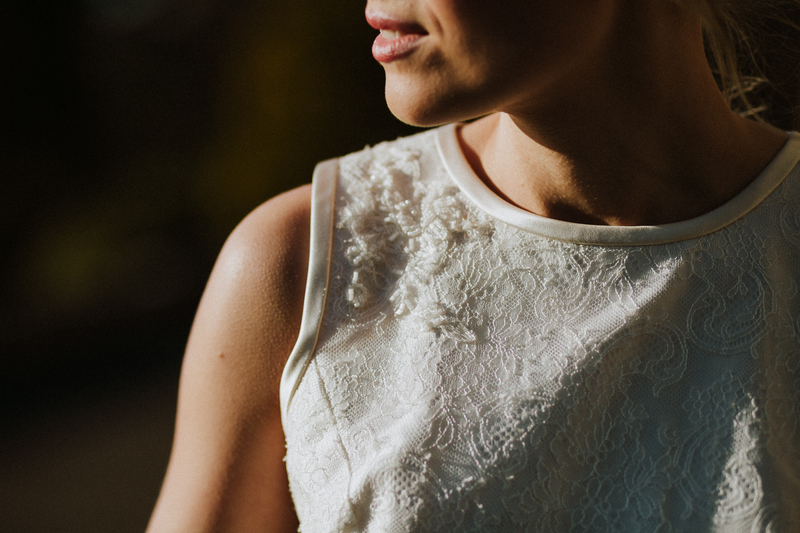 Simple and understated with an elegant look. 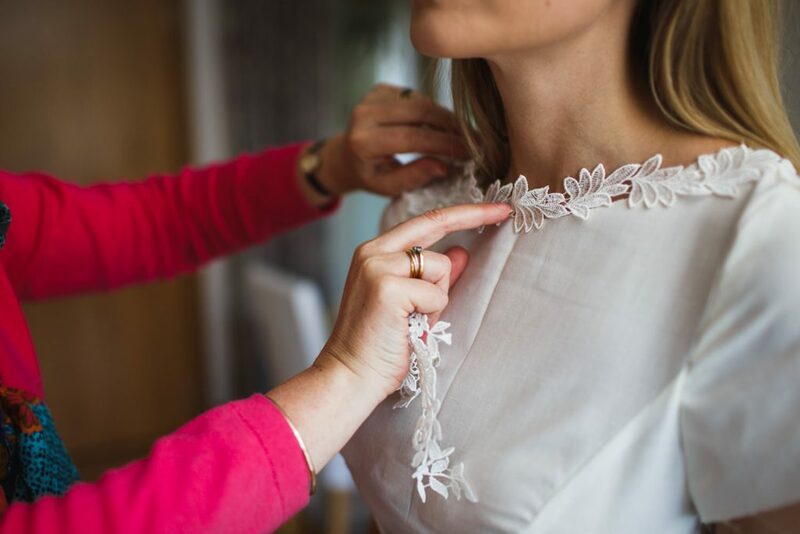 Once your dress is made then two or three fittings are required to make sure everything is perfect with your dress. 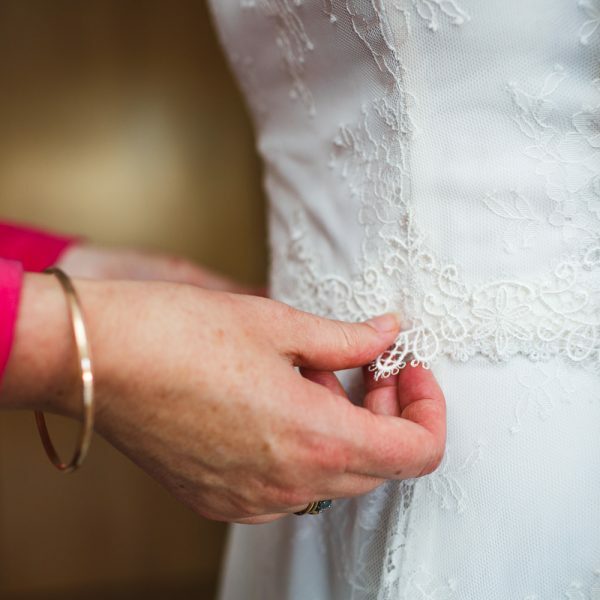 This whole process takes around 6 months however Pamela tells me that the ideal time is usually around a year prior to your wedding day. 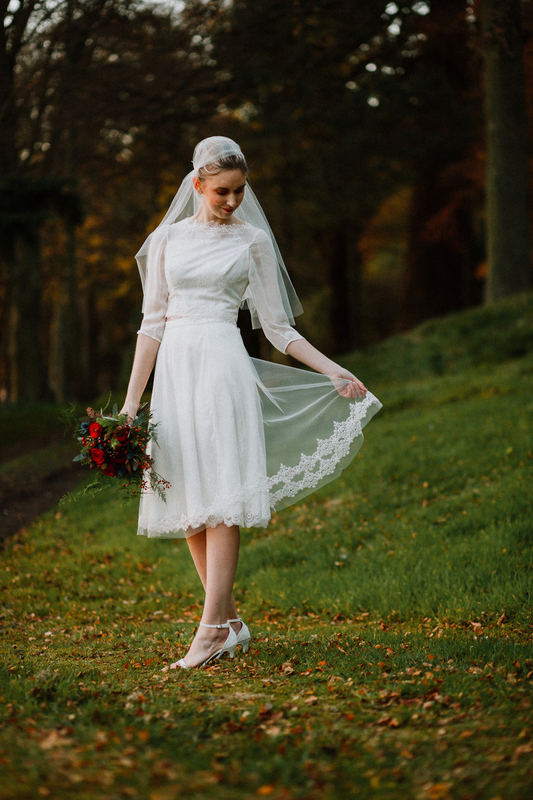 Pamela Fraser Designs, Millie – This elegant and modern style dress is made from soft chiffon and paisley patterned lace. 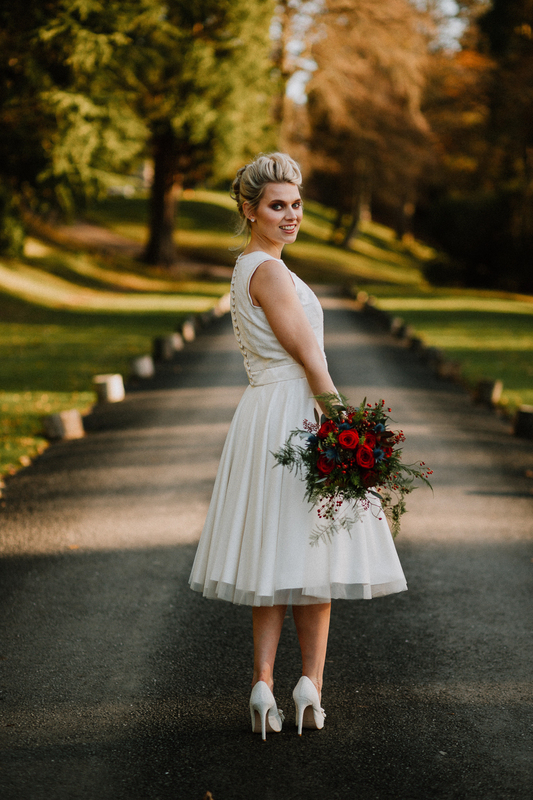 Pamela Fraser Designs, Fluer top with Julliete skirt – This two piece combination is ideal for a modern bride looking for a casual but edgy look to her day. 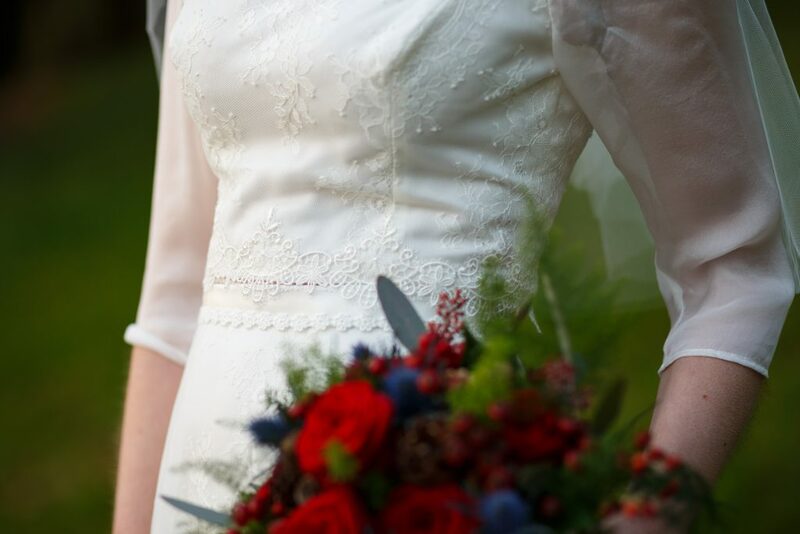 The dress is made from deluxe silk with a delicate French lace overlay. Pamela Fraser Designs, Alexis – This modern style dress is made from a silk / viscose mix fabric with beaded trim around the waistline. 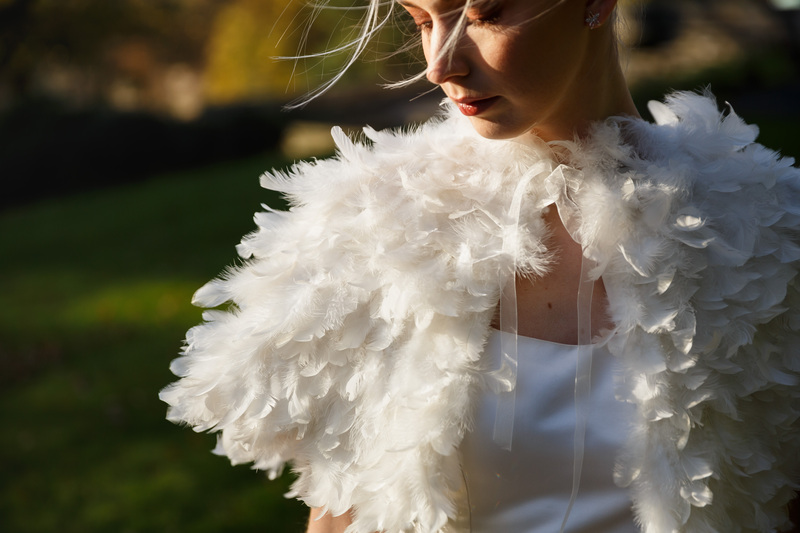 The feather cape can be added for autumn / winter weddings. 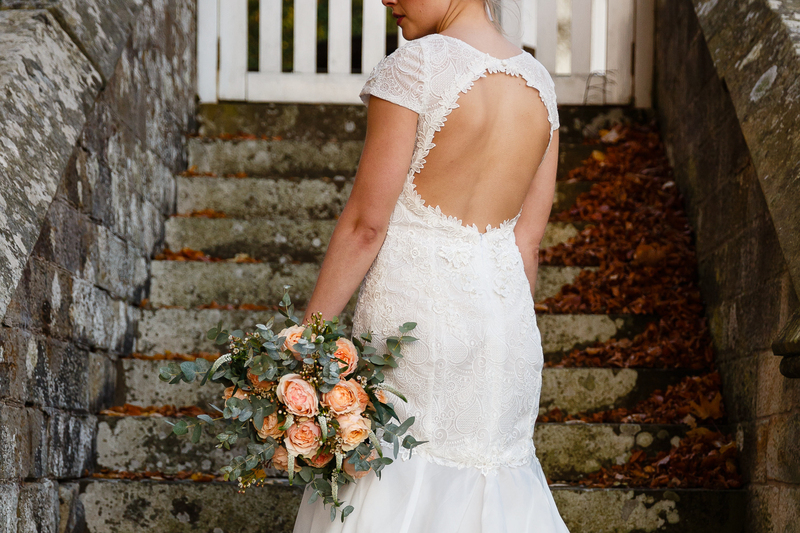 Pamela Fraser Design, Audrey – This is a traditional style dress for brides that like the classic look, the twist being the open back. 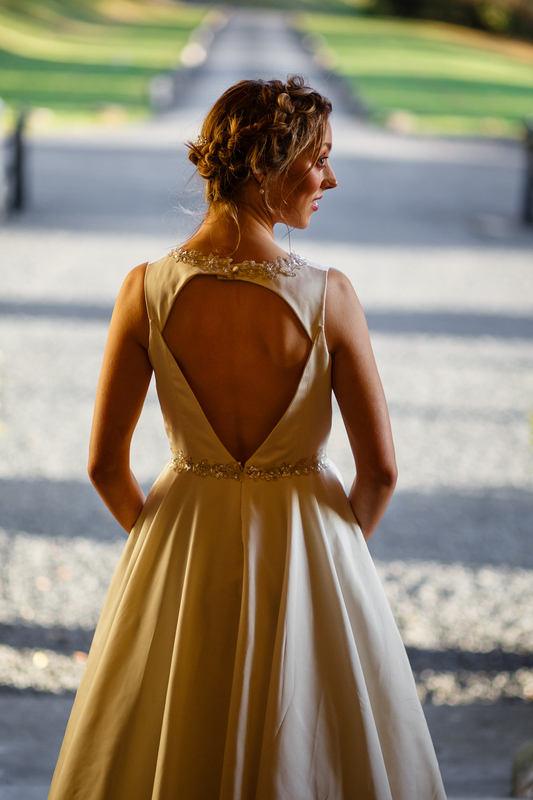 This dress is made from silk duchesse satin and beaded trim. So there you have it – pretty interesting stuff right!? 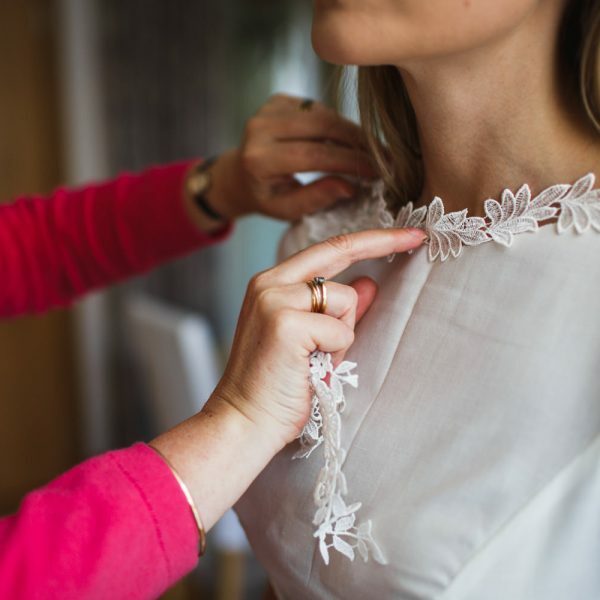 What really amazes me the most is the amount of work, time and detail that goes into making your very own wedding dress – it really is special. Pamela is without doubt an extremely talented lady with a wealth of knowledge who I have no doubt can put your mind at ease. There are a lot of things to take into consideration. If you found this post helpful and interesting, please get in-touch with your thoughts. 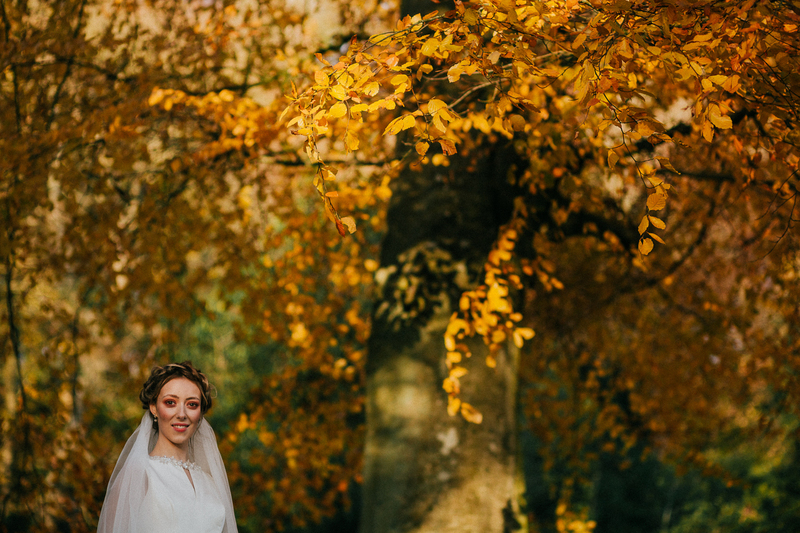 I plan on blogging a few more wedding vendors who are equally as talented and putting in a lot of time and energy into their work. And also to the 3 models for the day – Annie May, Erin Mitchell and Kirsty Anderson.